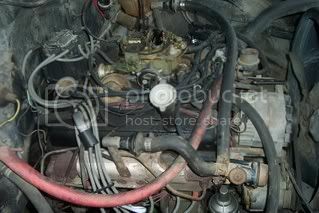 I have a 84 c20 Chevy with a 305engine, Manual trans. 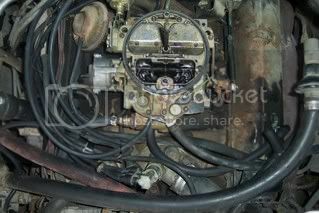 When I accelerate The engine seems to stutter and is hard to get up to speed unless you really compress the pedal. 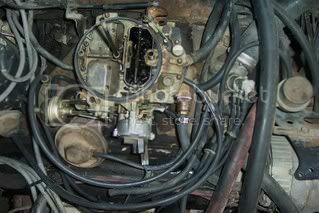 I have tried the following: replaced the fuel pump and replaced the fuel filter in the quadrajet carb. 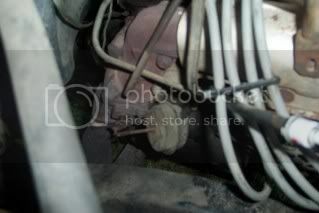 I am currently trouble shooting vacuum lines, without any results. I am still double checking to make sure that I have all of the lines in the right place. 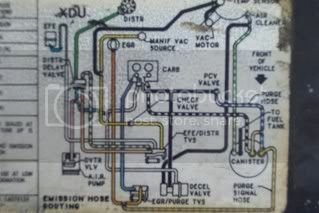 Yes, there is a diagram of the vacuum lines under the hood. Any help or advise is greatly appreciated! 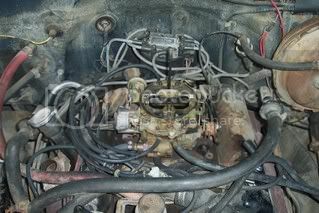 I have included pics of the diagram under the hood, and shots of the carb from the top and side. maybe it will help...maybe not.